Clear overlay for customization on all three sides. 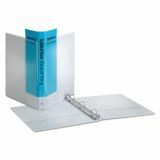 Ideal for multiple binder assembly. 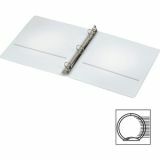 Cover boards are made entirely of recycled fiber. Note: A minimum quantity of 72 must be ordered, and in units of 12 thereafter. 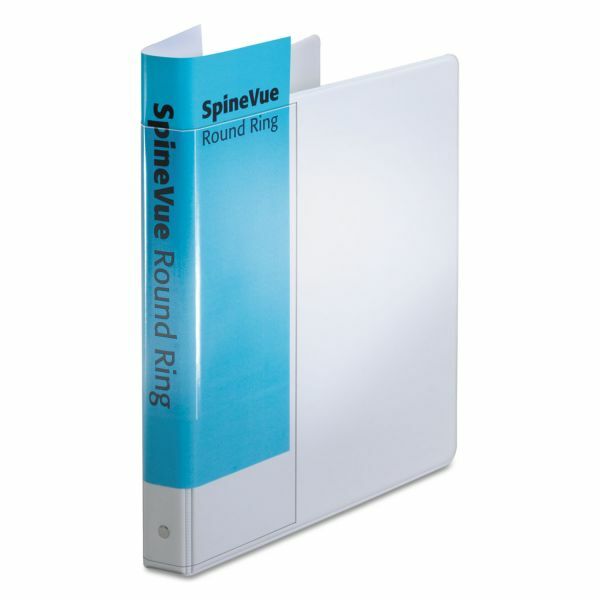 Cardinal Spine Vue Locking 3-Ring View Binder, 1" Capacity, Round Ring, White - Create a custom view binder in a third of the time. 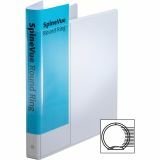 Exclusive, wraparound, clear, nonglare vinyl overlay allows you to insert a single, standard letter-size sheet to create title information on all sides of the binder. 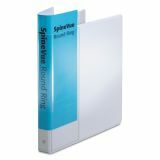 Leatherlike, vinyl cover material with contrasting black lining adds a professional look. 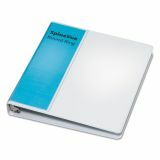 SureLock steel round rings mounted on the spine stay aligned and lock so they won't accidentally open and spill contents. Design was awarded the Ease-of-Use Commendation from the Arthritis Foundation. 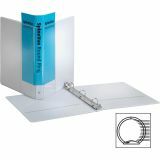 Horizontal pockets inside the front and back covers secure loose paper. Each pocket holds 40 sheets. 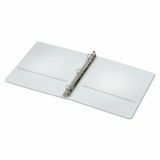 Binder also offers exposed rivets and a 1 expansion to hold up to 250 sheets. 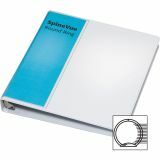 Use free online templates to customize. Awarded Ease-of-Use Commendation from the Arthritis Foundation®. The Ease of UseSM trademark is used with permission from the Arthritis Foundation®.